Front and back panels is made of rust-resistant galvanized steel with folded edges and ventilation holes. 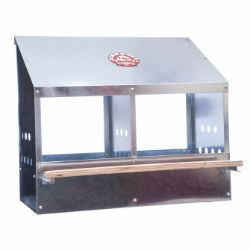 Features a hinged perch to allow closing. Bottom metal inserts are easily removed for cleaning.